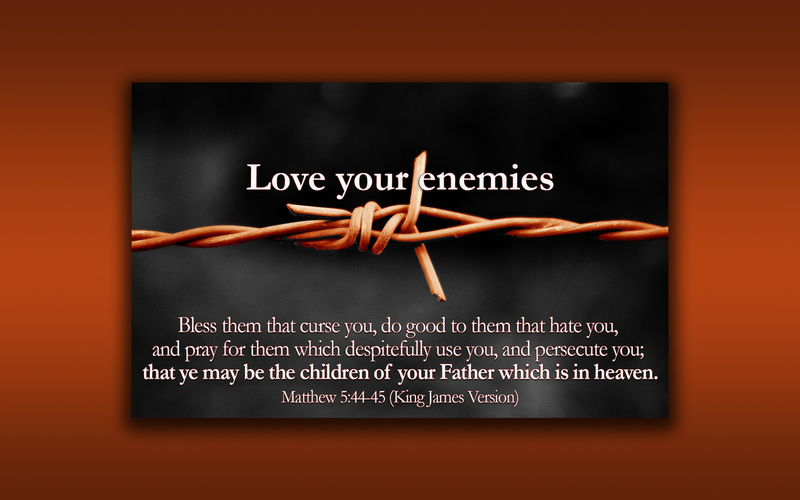 Barbed Wire has been a symbol of separation since the first patent was issued in 1867 to Lucien B. Smith of Kent, Ohio, USA. It was first used on cattle ranches to fence in herds, but was used later for military purposes to hold prisoners in both World War I and World War II and in present day wars times. It is a symbol of the division that comes between two people who are enemies. 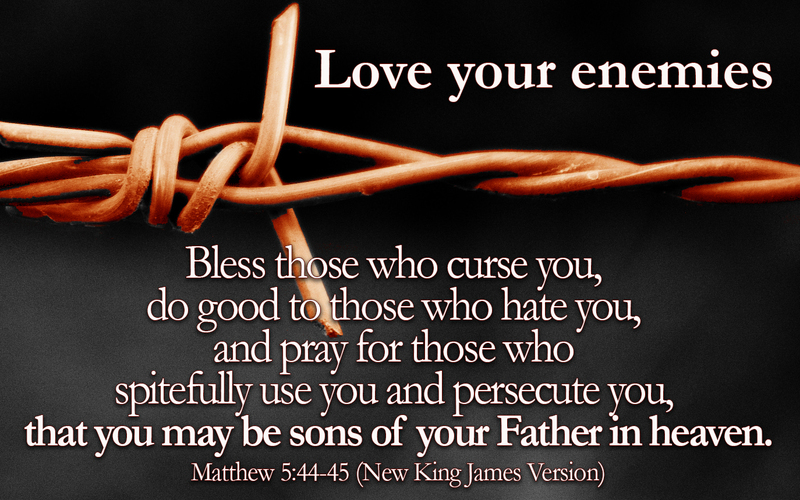 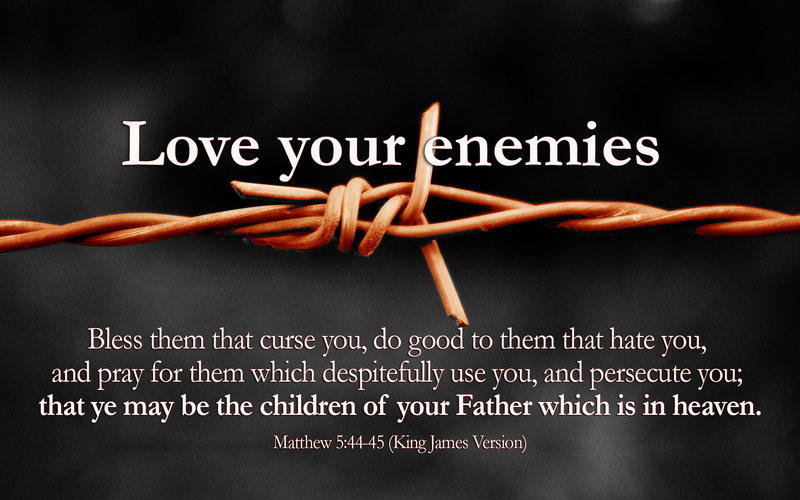 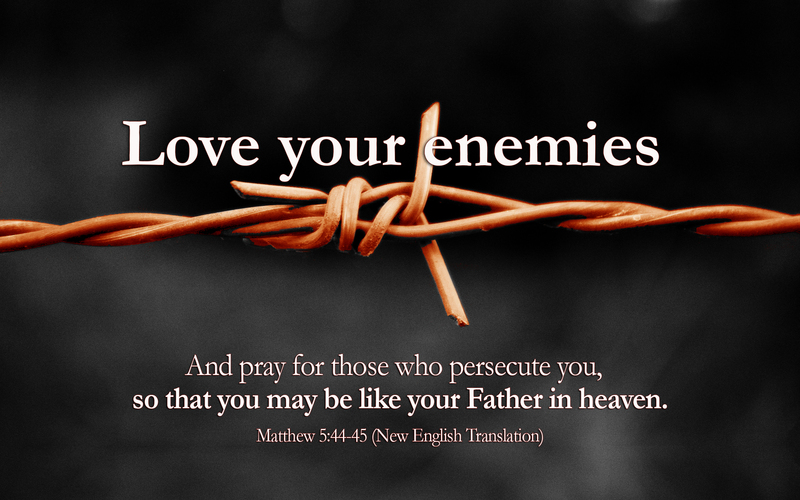 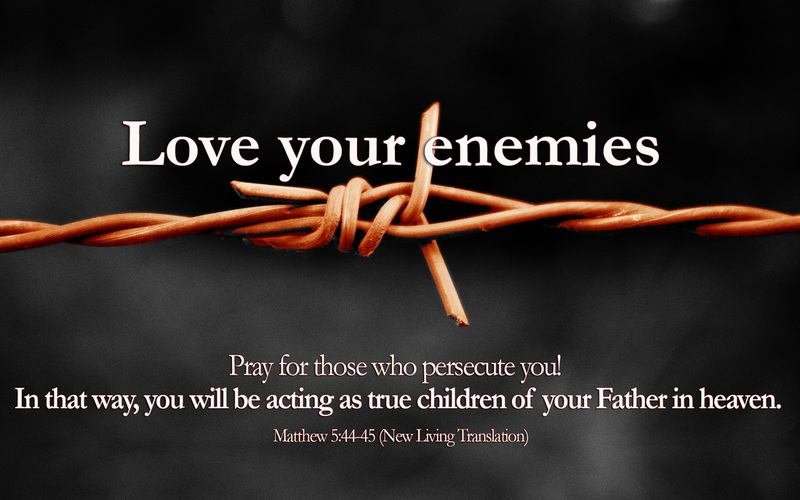 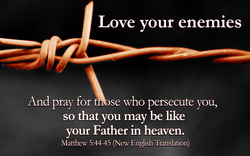 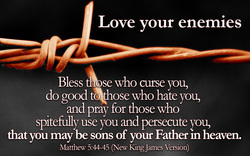 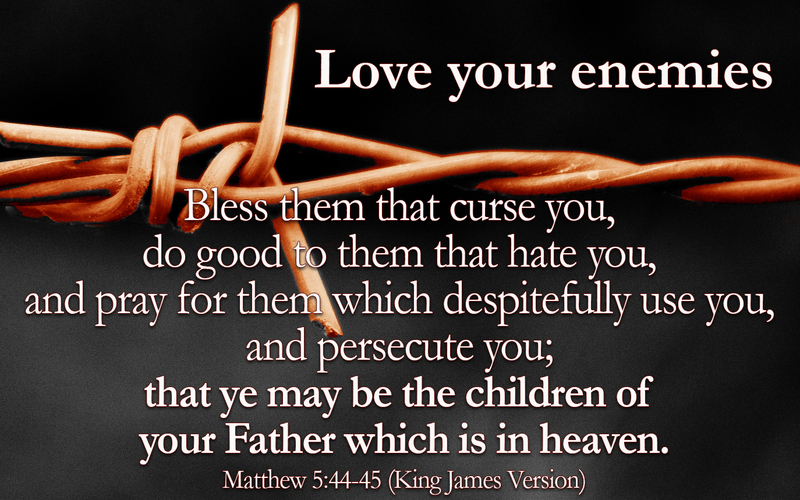 Love your enemies and pray for those who persecute you, to show that you are the children of your Father who is in heaven.